As days roll by here at UAT, clubs hold events and meetups. But do they ever let the world know what they're up to? Could we find a club where we could discuss practically anything? Can I win the avocado lottery? 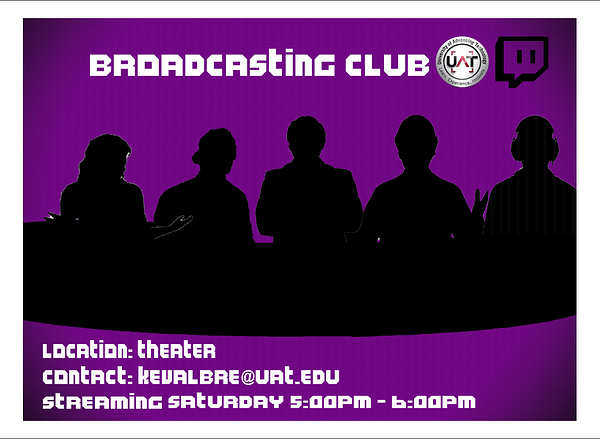 UAT Broadcasting Club is the place to go to answer all of your questions. Each week we discuss new topics of things that occur on campus, inside the tech world, in gaming or any topic a speaker wants to explore. Compared to other clubs that focus solely on one subject, the UAT Broadcasting Club caters to everyone's diverse interests, giving everyone the option to join the club and talk about what they want to talk about. Each week we gather in the theater and talk about things that are currently happening on campus. All majors are representative with members who study cyber security, robotics, digital media and animation. We accept anyone who wants to join us. All we ask is that students who participate on our live show respect the UAT brand and Twitch’s rules and terms of services. Although the club is relatively small, we have been growing a bit and welcoming students with different majors. Each week we invite a guest speaker who talks about what he or she wants to talk about. 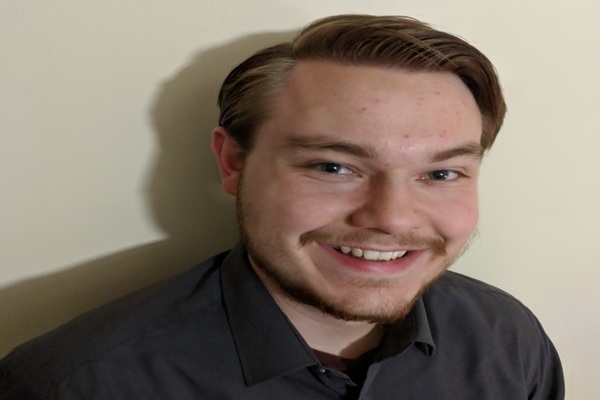 For example, we invited Jeremy Bunce, a network security major and fellow student ambassador, to come in and talk about his trip to CCDC and a couple of other cyber security topics. Brandon Michelson is a robotics and embedded systems student who has a profound love for programming robots. As one of the members who shows up without fail each Saturday, Brandon values the club more than anyone else. He has led engaging discussions on topics such as protein-based computers, realistic AI and the uncanny valley effect. “One of my favorite parts about Broadcasting club is the interesting topics we discuss. Everyone is really excited to talk about basically anything. I think the new technology we talk about in club is really exciting!” Brandon said. UAT Broadcasting Club is one of the most open clubs on campus. You don't have to cosplay, speak Japanese or code to participate in the discussions. Anyone can just come on in and suggest a topic. At Broadcasting Club, we believe everyone has a voice and everyone can participate. Another reason is that we are the only club on campus to do live events online for everyone to see. 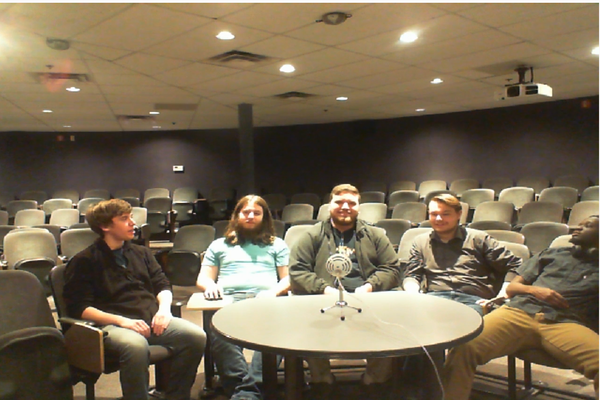 If a student is interested in our campus, and they want a better outlook on student life, they can tune in on our stream on twitch where we make weekly hour podcasts. Broadcasting club is the place to go for all of your entertainment needs. The main goal of a club is to not only inform and entertain the student body, but to peak interest in our school and campus events in general. We believe our campus is a hidden gem—a university where students' untapped potentials unleash. My biggest reason for creating this club is to strengthen the community that we have here at UAT. I noticed that most of the students on campus share the same interests, but they just don't regularly communicate with each other. Broadcasting Club is here to fill that gap. We want to find like-minded students and connect with them. So, we have a ton of things planned for the Summer 2018 semester. For example, we are planning on adding an additional day where we talk about a specific topic, whether it’s exiting new video games or emerging tech. We are also thinking about adding a couple more segments to our usual broadcasting schedule, such as a skit of sorts, something that we can incorporate inside the stream. In addition to skits, we plan on working on improving how we discuss events and upcoming updates to projects. We plan on meeting up together every Wednesday and discussing how to continuously improve the club, produce a better product and have more fun!